The utility has consulted the Data Commissioner prior to starting the job. IRISH WATER SAYS it putting a protocol in place to destroy PPS numbers it received in recent weeks. Following the reforms announced by the utility at the end of November, Irish Water’s Managing Director John Tierney promised to delete all PPS records by the end of January. Irish Water confirmed to TheJournal.ie it has consulted with the Data Protection Commissioner and it is currently putting in place the protocol for the removal of PPS numbers from their systems. 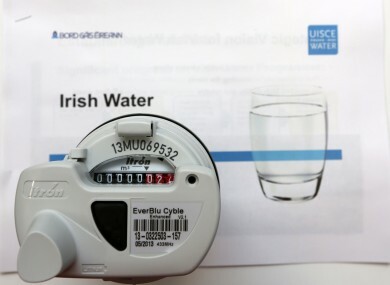 “Irish Water will consult with the Office of the Data Protection Commissioner to establish the parameters for independent verification by a third party of the systems put in place to manage the removal of PPS Numbers,” it stated. Tierney had said that the deletion of these records was a “big job of work” adding that at the time they had received submissions and responses from over 870,00 households. While the Government has stood by its recent reforms to water charges, another mass protest is planned for 10 December. Email “Irish Water using 'protocol' to destroy your PPS numbers ”. Feedback on “Irish Water using 'protocol' to destroy your PPS numbers ”.